On Sunday, the Interpol arrested Italian author and militant in exile Cesare Battisti, reportedly under the instigation of Brazilian president Jair Bolsonaro. Battisti was a member of the left-wing group Armed Proletarians for Communism (APC) and is wanted for four murders, a charge he has denied. Reports confirmed that he was extradited to Italy after he was arrested in the city of Santa Cruz de la Sierra, in Bolivia. 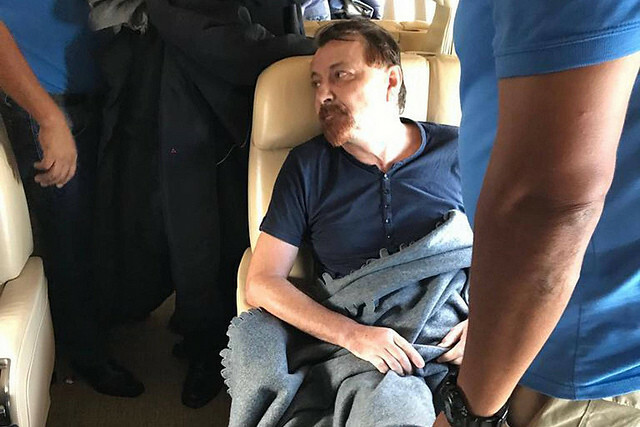 Battisti was aided in 2010 by the former president of Brazil, Luiz Inácio Lula da Silva, who bestowed refugee status on him on humanitarian grounds. In December 2018, the then Brazilian president Michel Temer signed the order to extradite Battisti after the Brazilian Supreme Court ordered his arrest. Bolsonaro’s son tweeted that the arrest was a gift to the far-right Italian interior minister Matteo Salvini. Bolsonaro and his allies have time and again declared their intention to target the left in Brazil. The Social Movements of ALBA issued a statement in solidarity with Cesare Battisti. "We stand firmly in solidarity with comrade Cesare Battisti, who is arbitrarily and in violation of various international human rights treaties detained in Bolivian territory by the Brazilian government of Jair Bolsonaro for his illegal, illegitimate and unjust extradition to his native country where he was sentenced to perpetual chain in absence and violating different principles that conform the due process guaranteed in international instruments of human rights."